Sega may have dropped out of the console business with the death of the Dreamcast in 2001, but there’s at least one place where its systems have lived on well beyond their expected lifespans: Brazil. Thanks to its deal with a local toy manufacturer, Tectoy, Sega beat Nintendo to market in Brazil in the early ’90s and captured one of the world’s biggest gaming audiences. With Sega’s blessing, Tectoy produced versions of both the Master System (Sega’s 8-bit equivalent to the NES) and the Mega Drive (known in the US as the Sega Genesis) throughout the ’90s and well into the ’00s, even though those systems had been dead for years elsewhere in the world. Tectoy is still selling its modernized Master System, which was released 22 years after the console debuted in Brazil, and now it’s taking preorders for a new “limited edition” Mega Drive that might look familiar to anyone who grew up in a Sega household. 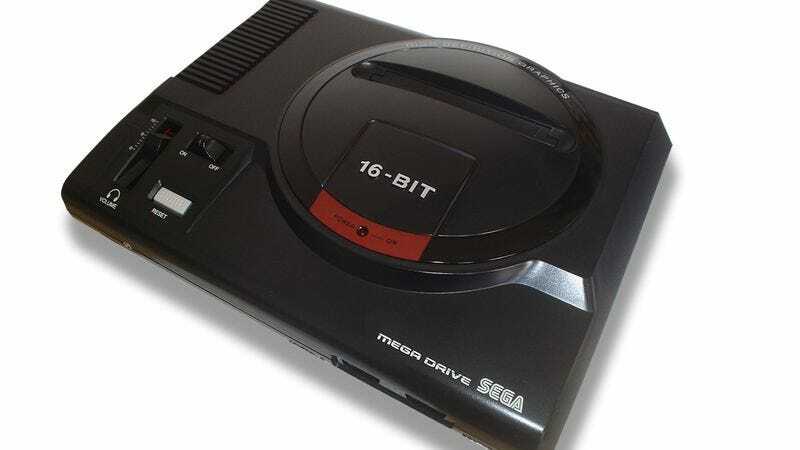 This new old Mega Drive is designed to look like the original model in all its chunky, retro-futuristic glory, right down to the headphone jack and accompanying volume controls built into the front. Unlike its last version of the Mega Drive, which came with a 16-bit Guitar Hero knockoff, this throwback is packing a cartridge slot for your original game tapes and an SD card reader that allows it to load 22 pre-programmed games (and any more you might want to add yourself, if you’re a filthy pirate). The console and a controller costs 400 Brazilian Real, which is around $125, but there doesn’t appear to be a way to have it shipped stateside directly from Tectoy’s website. Of course, Americans can easily get their hands on a tiny modern Genesis console, which also includes a cartridge slot, for $50. The difference would be in the look of the system and how well it replicates these classic games. The current model, known as the AtGames Classic Game Console, uses emulation software running on the equivalent of a crappy Android phone to play your Genesis games, and while they look and feel alright, the sound is way off. In an FAQ on its website, Tectoy claims its new Mega Drive is not an emulator, but is instead using computer components that are as close to the original console’s guts as possible. If that’s true, this could be a fun little curio for collectors, assuming they’re able to get one out of Brazil. For everyone else, there’s always the Genesis Classics Collection on Steam.